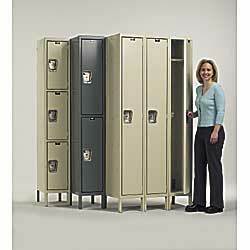 Find a great selection of affordable and durable gym lockers at Material Handling Solutions. 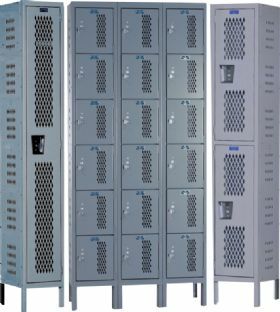 Our multi-purpose gym lockers are ideal for use in plants, warehouses, offices, schools, hospitals, factories, laboratories, gymnasiums, sports and recreation facilities. 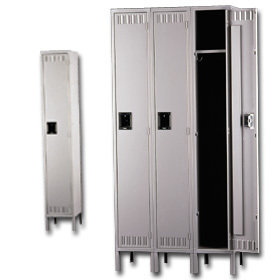 These gym lockers provide an efficient way to store athletic gear or employees personal items and offers maximum security, privacy and ample space. 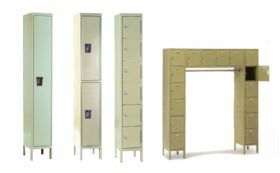 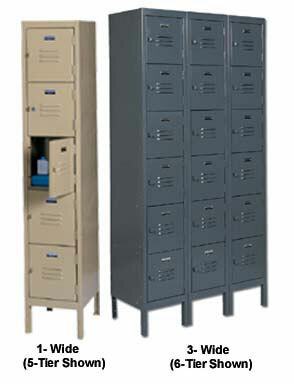 These high performance all steel lockers are available in multiple configurations and can be ordered as either assembled or unassembled units. 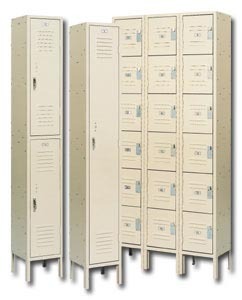 We carry single tier, double tier and 5 or 6 tier box lockers and we have quick ship lockers available in stock. 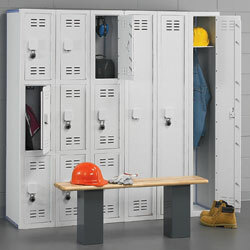 Our gym lockers feature: louvered doors for maximum ventilation, padlock attachment, wall hooks and ceiling prong hooks. 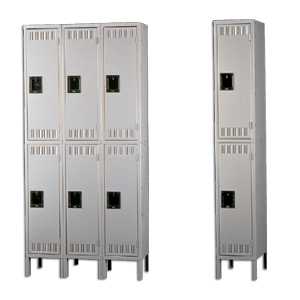 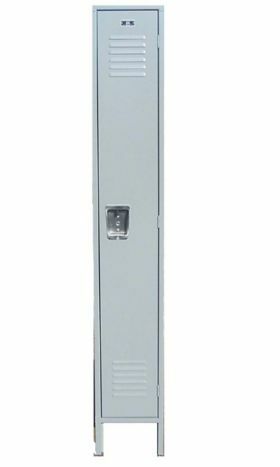 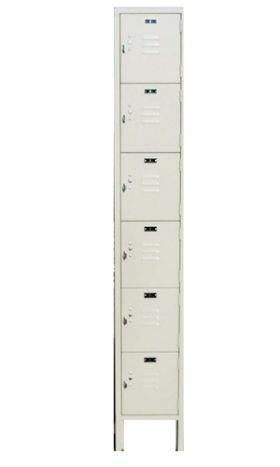 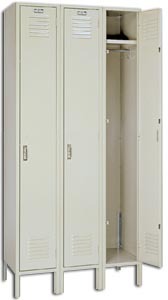 Our vented lockers are designed to stand up to high humidity environment such as shower areas in locker rooms. 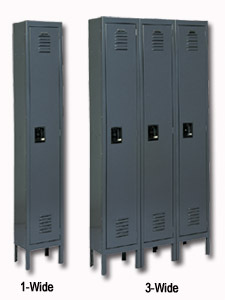 We also carry high density polyethylene gym lockers. 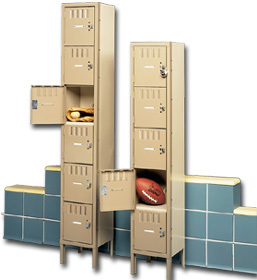 HDPE lockers wonâ€™t bend, rust or dent and feature a single piece construction. 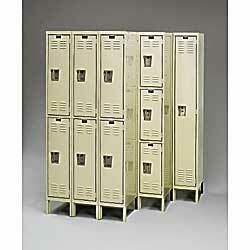 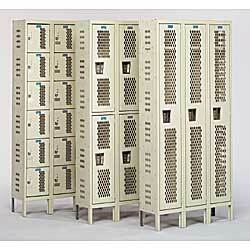 These lockers will withstand impacts other lockers would normally be damaged by. 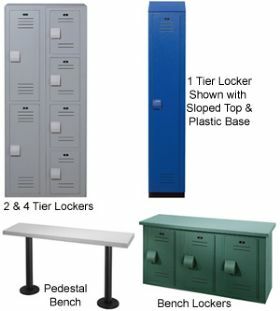 We carry all the accessories such as locker benches,Â sloped topsÂ and locks.Â Call us toll free or send us a drawing and one of our CAD specialists will layout your gym lockers at no charge.